If I could do last year’s lessons on solving equations all over again I would begin with CGI. 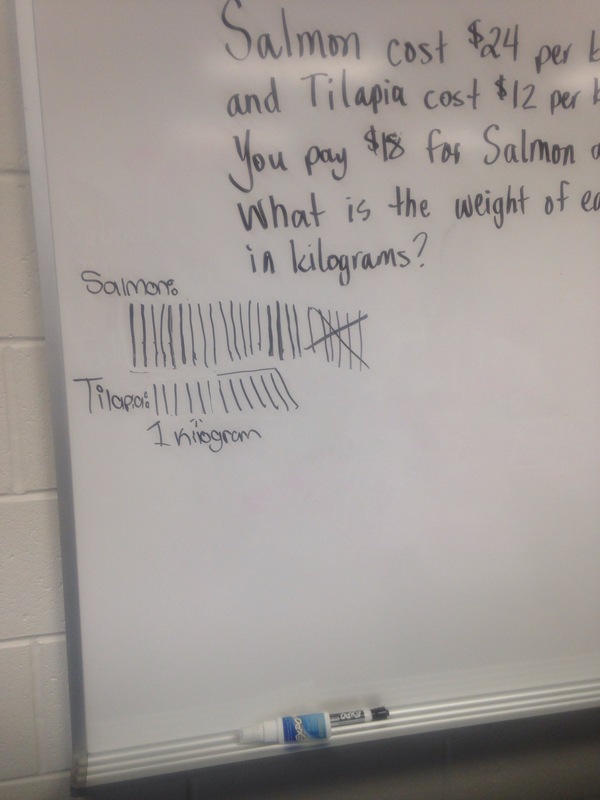 As a whole, 7th graders at my school struggled with solving equations last year. 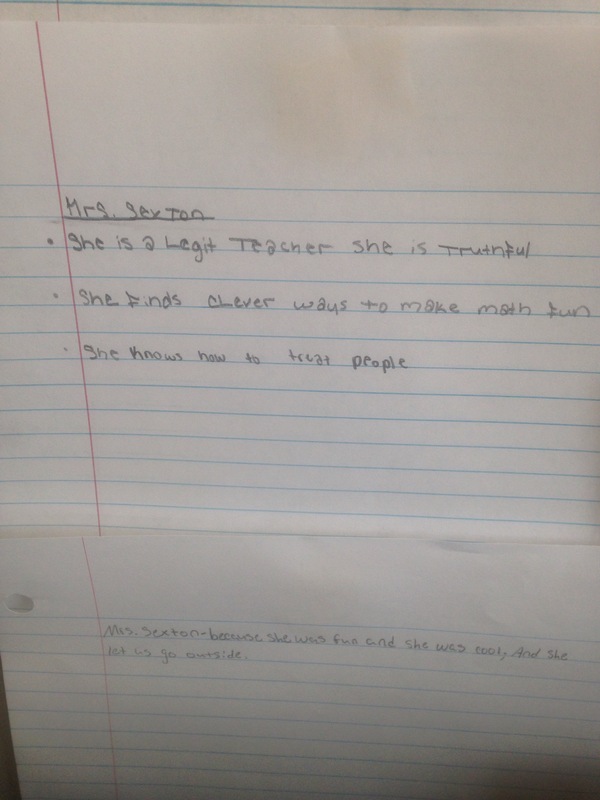 And as I’ve been in 8th grade classes and had conversations with 8th grade teachers I see the struggle continues. I’ve concluded that many students do not understand the real meaning of the equal sign. Starting with CGI, Cognitively Guided Instruction, helps students to make sense of a concept through making sense of a context. Through this process of thinking, students are able to conceptually understand a mathematical idea such as dividing fractions, addition and subtraction and even solving equations. This past week I worked on a few CGI problems for middle school concepts. My plan is to do a couple of professional learning sessions where we can focus on this instructional strategy. 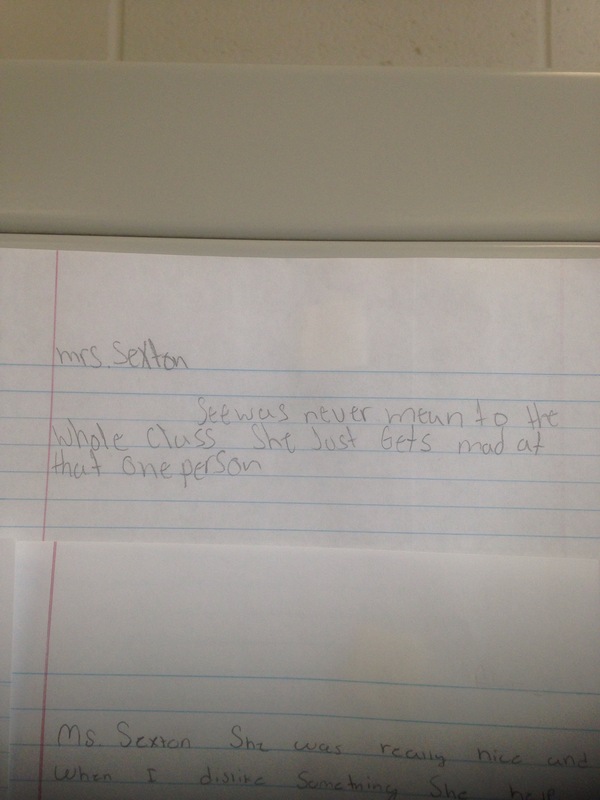 8th grade is my first group. 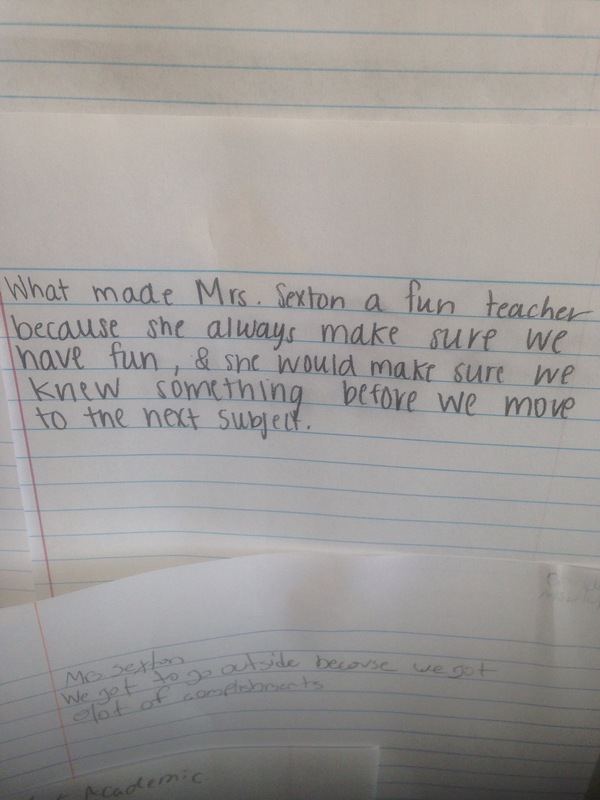 An 8th grade teacher asked if Number Talks could be used to introduce systems of equations. What a perfect fit for CGI. Here’s a problem I wrote. 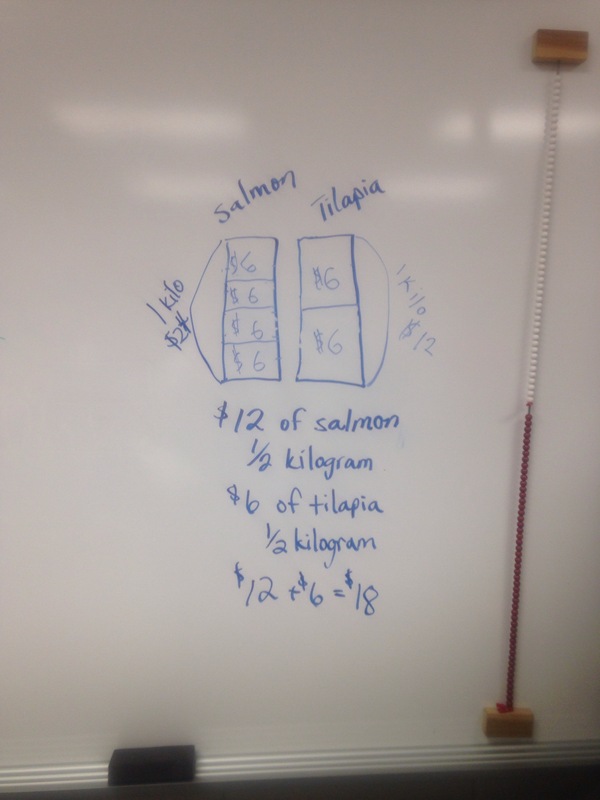 Students were instructed to only draw diagrams with labels to solve the problem. Pictured above are two students beginning thoughts. 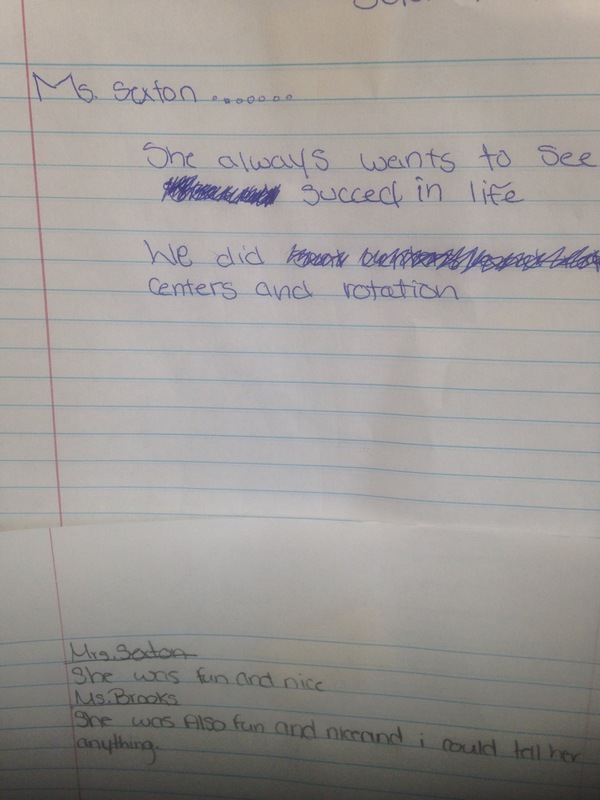 How two students served in a special education resource class thought about it. 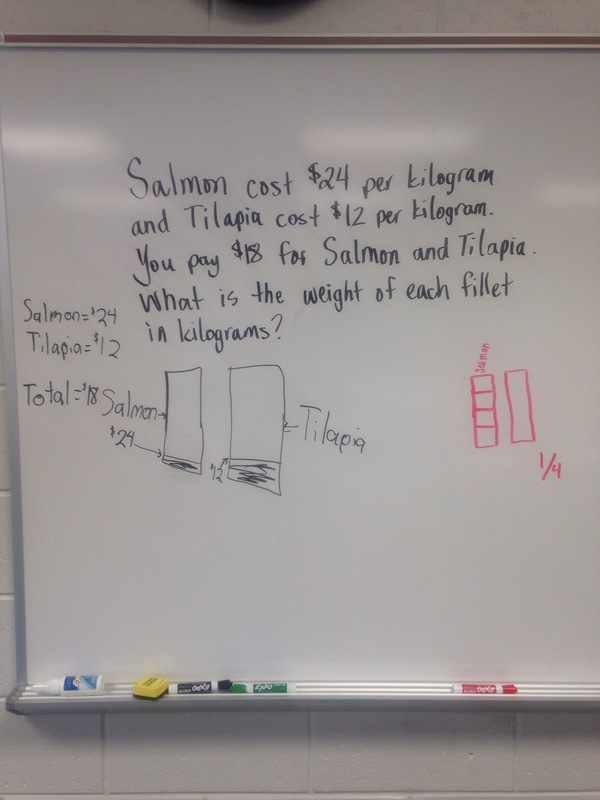 Students realized the answers needed to be 18, not more and not less. 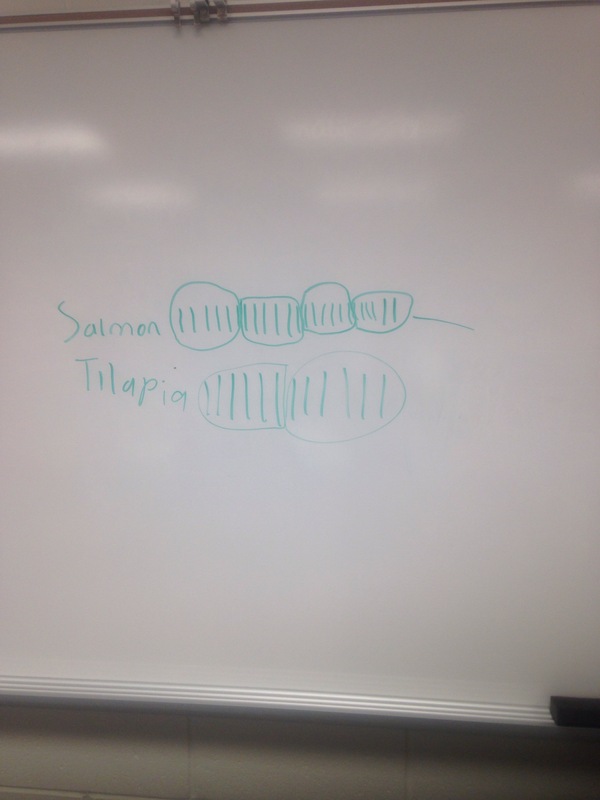 They had to use reasoning to determine how much of each fish was needed in order for it to be equivalent to 18. 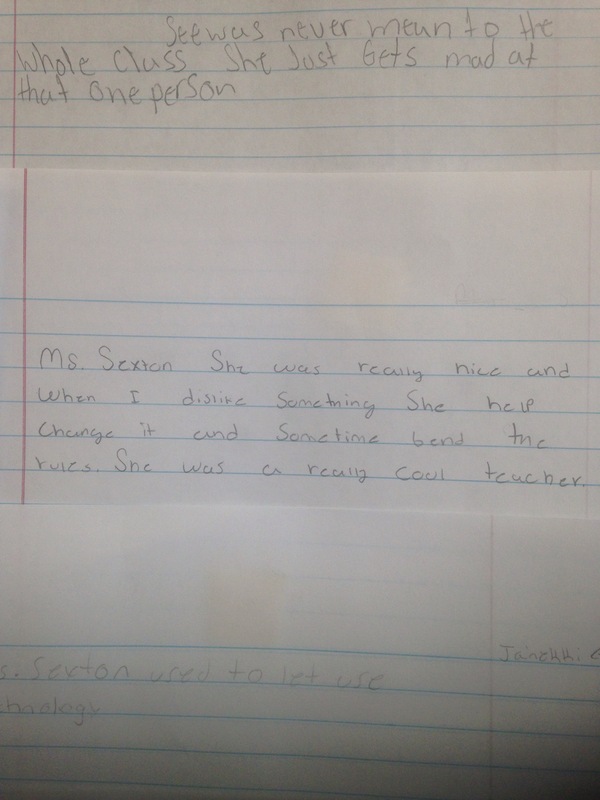 Within their explanations, students expressed they had to determine one unknown in order to determine the other unknown. 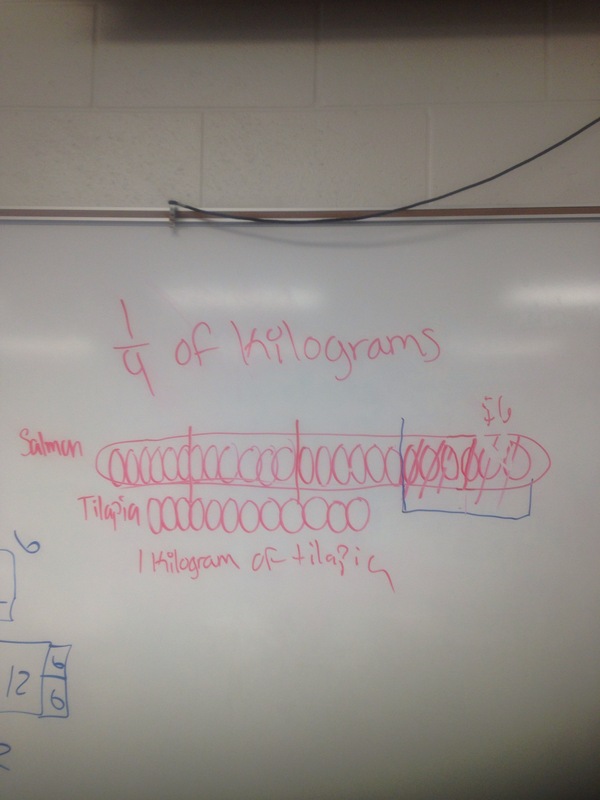 Imagine students being able to develop their understanding of systems of equations in this manner. Making the bridge to the abstract would make more sense. Here are other CGI problems I have written and examples of more. If you have a source for more please let me know. My professional goal just became personal. After having conversation with a colleague about my transition from a classroom teacher to a math coach within the same building it dawned on me. She said to me, “you have seeds in the ground.” As teachers we have the opportunity to plant many seeds within the students we encountered, good or bad. 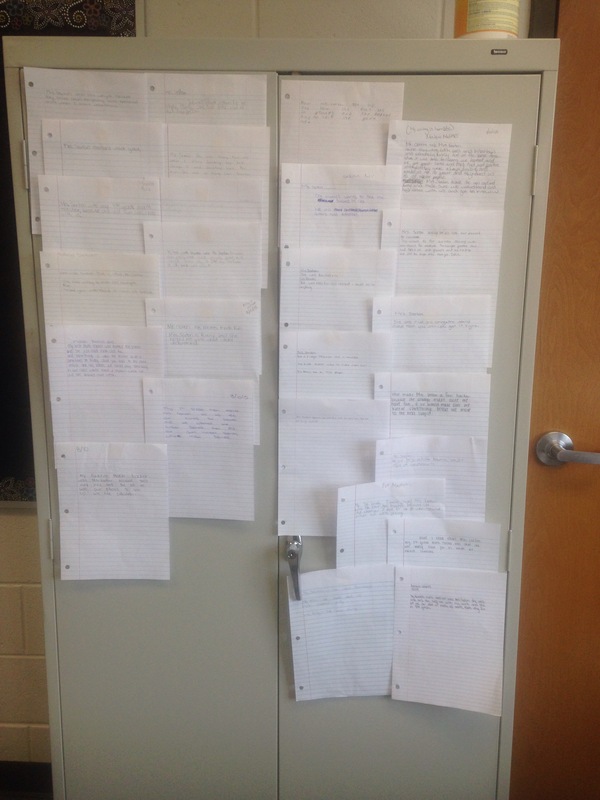 There were a lot of things I attempted last year to plant positive seeds within my students. More times than not, we never have the opportunity to water, till nor harvest the fruit that is produced from our work. When my colleague uttered those words, I realized I’ve been granted a chance to do more than plant. My professional goal this year was to move us to have more of a balanced approach to math instruction. My plan for getting us there was shared in this post. I get to oversee the growing process and if there’s water too much, not water enough, provide the wrong fertilizer or don’t allow in enough sunlight, the fruit will not grow properly. When I conduct PLs I’m educating on ways to tend to their gardens. When I visit classrooms, I’m helping to see if plants need pruning or support staffs. I’m looking for ways to help them produce the ripest, sweetest, plentiful fruit. I have been blessed with the opportunity to function as the math coach at my school for this upcoming school year. Since I was informed I would be in this new position, my mind has been racing with possibilities, both positive and negative. In a women’s conference I recently attended, the pastor spoke about how often times we feel inadequate for an opportunity to which God has called us but in actuality, it’s a matter of being unprepared, not inadequate. Therefore, in order for me to embrace the journey I’m currently walking for God, I have been taking time to prepare and here’s what I’m thinking. As we speak I have been granted this position for 1 year. One year to make the most impactful, sustainable affect on my middle school. When I think of something we need established and maintained throughout years to come is balanced math instruction. From conversations with middle school parents and teachers there seems to heavy emphasis on procedural fluency. All skills are covered and practiced which may show proficiency on multiple choice tests. Unfortunately, the skills don’t often transfer to other concepts or more complex mathematics and can lead to misconceptions. 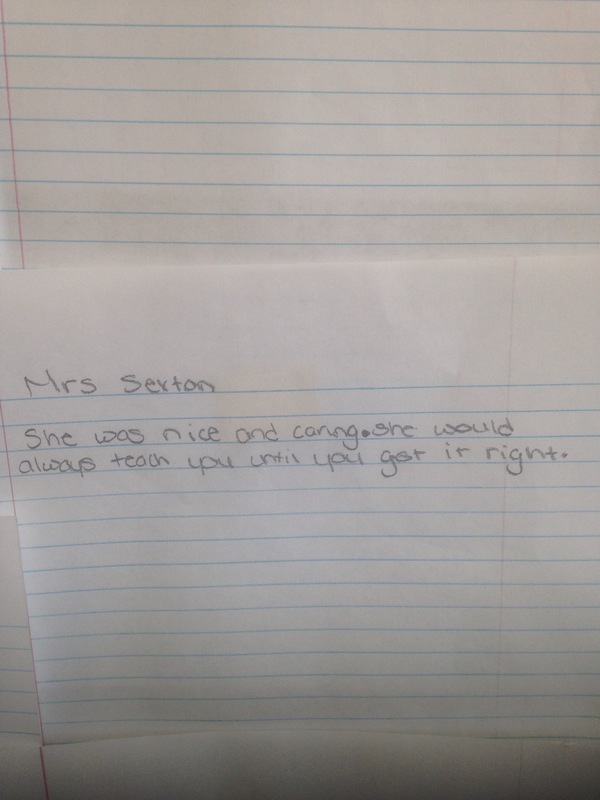 In middle school, building conceptual understanding seems to be too “elementary” or basic. This causes students’ gaps to widen and already shaky foundations to weaken. And too often application is seen as the ability to correctly answer word problems. I’ve decided to make balance numeracy, a balance of procedural fluency, conceptual understanding and application my year long goal. To help us attain the goal, I’m developing differentiated professional development. Course 1: Creating and Implementing a Student Centered Environment Duration 3-4 weeks, beginning August 12th During this course teachers will experience an interactive professional learning session followed by a preconference where each individual teacher and I will discuss modeling the components of PL within their classroom. The course will also include coach modeling or team teaching, coach observation and debriefing. Course 2: Implementing FALs. Duration 4-6 weeks, beginning August 19th This course includes PL and will take teachers through the coaching cycle. The goal is to educate teachers of the rationale of Formative Assessment Lessons and effective use (implementation, use of data) of them. Course 3: Putting the SMPs in the Forefront of Instruction. Duration 4-6 weeks, beginning August 20th Standards for Mathematical Practice should spearhead how you implement your instruction and the resources selected. This course will familiarize teachers of the 8 standards and allow exploration of what they look like in action and how to ensure they are present within every lesson. Just as the others, this course will begin with PL followed by the components of the coaching cycle. My original plan included more courses but with the suggestion of my principal I have narrowed my focus more. Based on teacher feedback, I’ll will be able to adjust my plan to meet their needs as we all work towards a common goal. In addition to this, I’m making a strong push to have the Numeracy Project implemented for RTI and further math support for our students. This post was inspired by Sarah Marshall, Mike Wiernicki, and Robert Kaplinsky, thanks for letting me pick your brains!